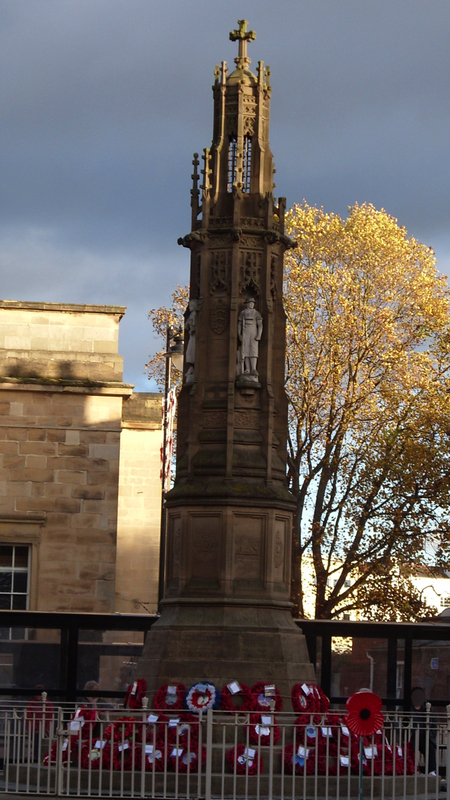 Sunday 9th November 2014 is Remembrance Sunday in the UK, ahead of the Armistice anniversary on 11th November. This year is the centenary of the beginning of the 1914-18 war. Poppies are worn as a symbol of remembrance for those who have been killed in conflict. The poppies were originally produced to provide employment for those soldiers who had been disabled by injuries sustained during WWI. Today, sales of poppies go towards supporting service personnel and their families who have been affected by more recent conflicts. I don’t consider the poppy to be a jingoistic symbol, wars are started and resolved by politicians not soldiers. 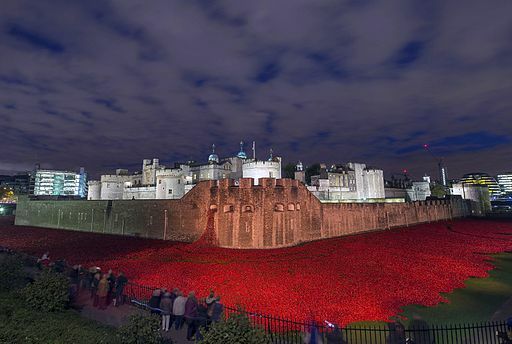 Part of the centenary commemorations is an art installation at the Tower of London, called “Blood Swept Lands and Seas of Red”. It consists of 888,246 ceramic poppies cascading into the moat. They represent every British and Colonial soldier killed. WWI took more than 16 million lives in total, and devastated many more. You may be interested in the work done by rats (braver and cleverer than me), sniffing out land mines. They work in countries where, despite conflicts being over, civilians are still being maimed and killed. You can read about them on their website here. You can also read more about WWI and poppies on my blog post here. The Royal British Legion’s Poppy Appeal website is here. As for poppy flowers, not only do they add a dash of colour to the garden, they also attract butterflies, bees and other important pollinators. You might like to leave part of your lawn unmown and plant wildflowers, such as poppies, to help the wildlife. Even if you do not have a garden you can still have your own wildflower meadow. This website here shows you how to grow one in a dustbin lid on a balcony. I shall leave you with some photos of poppies from my garden. This entry was tagged APOPO Land Mine Clearing Rats, poppies, Rembrance Sunday, Tower of London, Wildflower Meadow, WWI, WWI Centenary. Bookmark the permalink. Happy Veteran’s Day! Great History and a great post! Lovely photos. You must have two green thumbs. You posting makes me think of Winston Churchill’s quote: “Never in the field of human conflict was so much owed by so many for so few.” Also This day in History: November 11:1918: World War I ends! At the 11th hour on the 11th day of the 11th month of 1918, the Great War ends. It was a great victory but at such a great cost. Thanks Alan. I tend to leave the garden to its own devices! Churchill made so many great speeches. It is a great pity people have yet to find a better way to resolve their differences. I think you are being too modest about your gardening skills! Always beautiful! It is a nice idea for wars to end but because of evil, greed, and people only thinking of themselves, I don’t see it happening anytime soon. Great article about the rats sniffing out land mines, I never knew they had such skills! Amazing what they can do! Thanks for posting the article on your site. Yes they do! Thanks for educating us on the contributions of these amazing rodents! Yes, that one’s a classic! I’m sure you know his mother was an American. I did know that a long time ago but had forgotten this fact. I need to brush up on his history and life, would be good reading.